Ung psykologistudent hamnar på drift med två mentalpatienter i underbar litauisk indie-road movie som blandar John Hughes coming-of-age-humor med Joachim Triers djupsinne. Under sin praktik på en mentalanstalt får psykologistudenten Indre till uppgift att skjutsa två patienter till ett sjukhus på andra sidan Litauen. Den enkla bilturen med hennes maniska och suicidala reskamrater visar sig snart bli både längre och mer strapatsrik än någon räknat med. Under färden genom den litauiska sommaren tvingas de lära känna både varandra och sig själva på djupet. 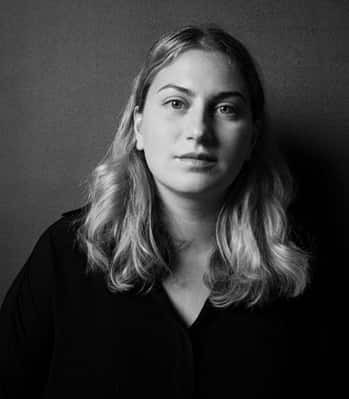 Regidebuterande Marija Kavtaradze skildrar det förvirrande livet som tjugoåring med ett underbart tonsäkert berättande, hennes manus är en coming-of-age-fullträff och den förbryllande tvetydigheten i filmens final får Mandomsprovet att blekna. Born in 1991, film director and scriptwriter Marija Kavtaradze? graduated from Lithuanian Academy of Music and Theatre, Film Directing studies in 2014. One of her latest short fiction film I’m Twenty Something, 2014 won best student film at Lithuanian Film Academy Awards Silver Crane 2015. I’ve made “Summer Survivors” since there is still a big stigma regarding mental health issues, not only in Lithuania, but in the whole world as well. It was essential for me to accurately portray the diagnoses that I chose for my characters in careful details, and also to show that having a mental disorder is just as natural, as having any other physical illness. I wanted to create a feeling that the main characters are heroes who are fighting a war in their own heads. With this movie, I want to send my love to all the people, who understand what it’s like to fight this war - those who do survive, and those who cannot. 2015 Iglu, Short; 2014 I'm Twenty Something, Short; 2013 Youngblood, Short.